You might already be aware of Horsetail Fall in Yosemite National Park (37.7291°N, 119.6284°W). It's a waterfall that's mainly known for the fact that, for a short period each year, the setting sun directly hits the water but not the nearby rocks, thus making it look as if the water were glowing, like a liquid version of fire (and even casting light on the nearby rocks), for about 10 minutes each day. People gather at particular spots in the valley below every year to wait for this. 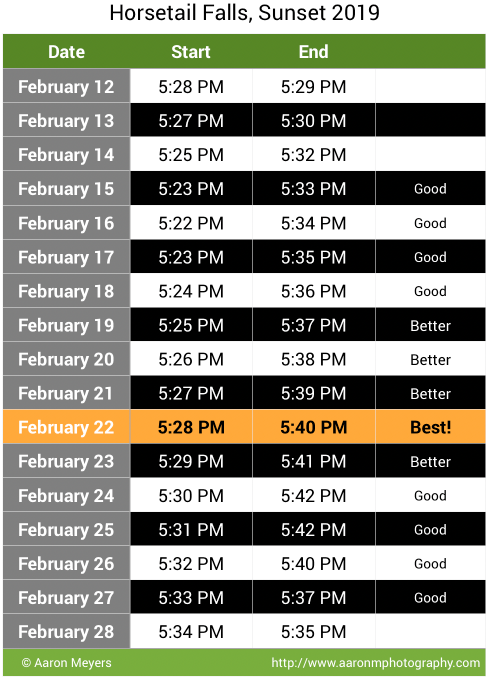 I could use Stellarium to find the declination and elevation of the Sun at the time shown in that link, and then search for times the Moon would be at the same position. Such occurrences might be few and far between, because the Moon would often straddle the optimum position from one day to the next instead of hitting it squarely every time. 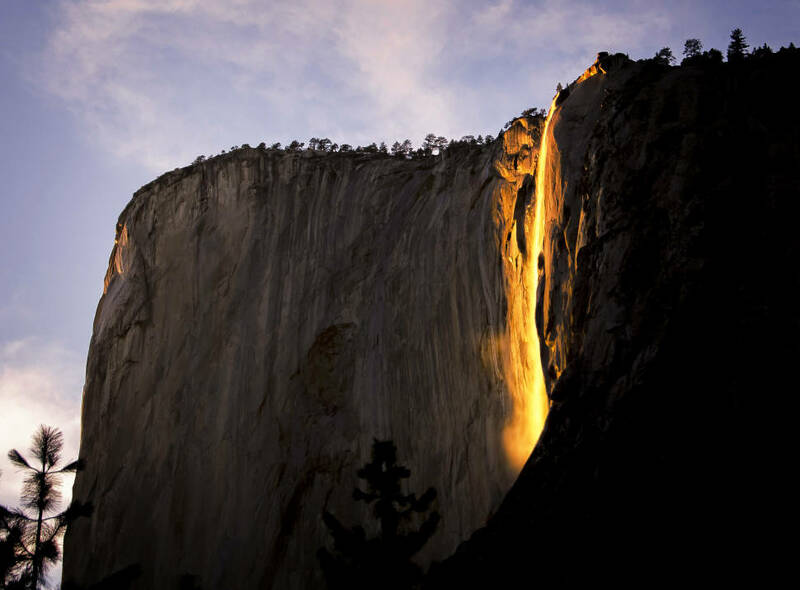 That photo reminds me of the "firefall" I observed from the floor of Yosemite Valley back in 1962, when they shoved a roaring bonfire over the side at Glacier Point. I had stood by that fire and looked 3,000 feet straight down into the valley just a couple of hours earlier. My grandparents reported that they had done away with it a couple of years later.